We are located at 5147 Main Street in the heart of downtown Downers Grove, Illinois. While headed down Main Street (south of the train tracks), keep an eye out for a dark red awning on the east side of the street. You will find us south of Another Round Bar & Grill, north of the Smile Dentist Office, and across the street from the Verizon Wireless store. If you run into any issues while headed in our direction, don't hesitate to contact the store at (630)963-0640 during regular business hours. We will be more than happy to help! 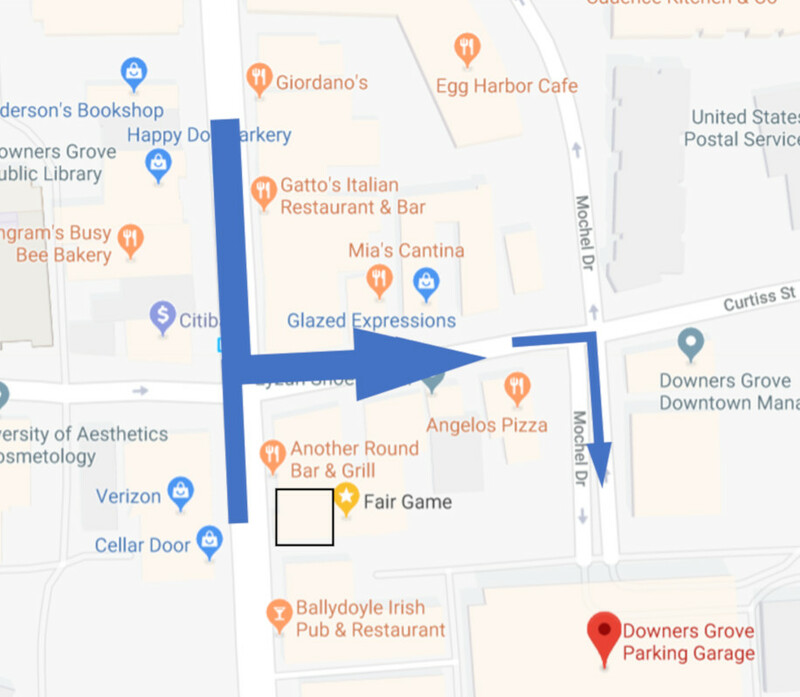 Downtown Downers Grove offers street parking, so oftentimes customers are able to find a spot right in front of the shop or just a few doors down. However, the best place to park is in the parking garage just behind the shop. The parking garage offers free four-hour parking on the first level on weekdays during the day, and free unlimited parking after 6 PM and during weekends. To get there, turn east on Curtiss Street from Main Street, then turn south on Mochel Drive. Remember that Curtiss Street is a one-way street. To get there using Google Maps, follow this link. We strongly advise paying mind to all posted signage.